We were contacted directly by the client, XAL GmbH. The client, XAL GmbH, places great value on quality and continuity, especially on a good partnership. That's the base for shared knowledge about processes and needs, the condition for mutual trust and fine work. The client gives the broad outlines of the new product developments and which aspects should be highlighted. The new strategy and concept was discussed by the whole team and growth to an holistic project. 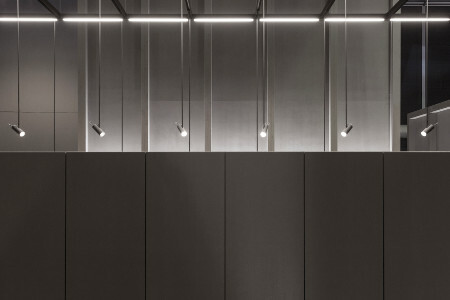 The new archtectural concept and its minimalism concentrates entirely on teh essential: See the light. 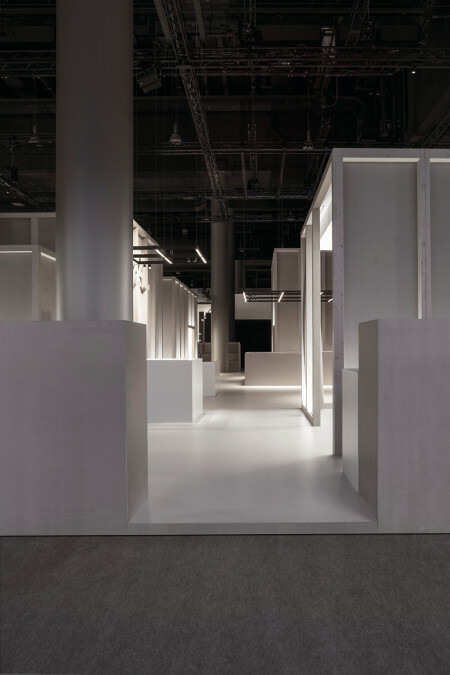 The greatly reduced architecture and materiality come to life only through light, shadow and the participants, in which the subtle nuances of light, the different strategies to generate it and the technology behind it to make it tangible. 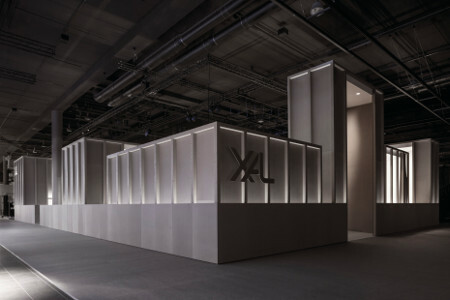 At Light & Building 2018 in Frankfurt, visitors encountered XAL in a minimalistic abstract city, with “houses” where they could give their full attention to light. The patterns of a city become abstracted. We tell the same stories of the city in different words. The stoic central square, the pathways, the buildings, the peaceful, almost private interior of the pavilions, staged entrances and a shoulder high wall running all around. There is a trade fair outside the fence, and a special place behind that. The fair within the fair. The stoic city. A city is not merely the sum of its structures, its ambiance, its participants and how they shape it. It consists of stories. It consists of history. It consists of frontiers and limits. Where in earlier times there were walls made of stone, today is is capital that sets the boundaries. And it is the exclusivity of what lies within these boundaries that seems superficially desirable. We absorb all of this, reduce it, abstract it. We tell the same stories of the city in different words. The stoic central square, the pathways, the buildings, the peaceful, almost private interior of the pavilions, staged entrances and a shoulder high wall running all around. The view over this barrier is actually archetypal, and the need to engage with the “other” is a deeply rooted need we all share. And for a brand, this is an opportunity. 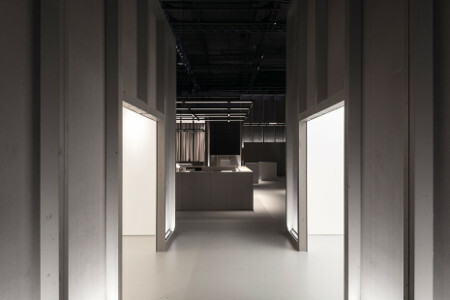 It awakens the desire to take part, sparks interest in spaces for their light, and in space as a place for exchanges. 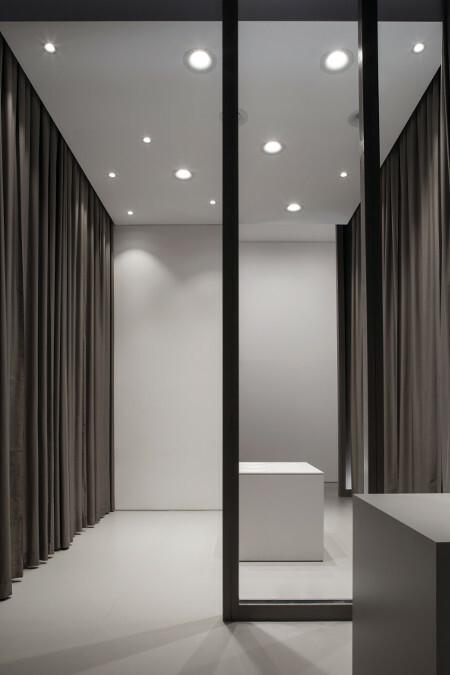 In minimalistic environments, it should always be light and its source that are the stars. This is the interplay that brings the product to life.